Lightning McQueen is the fastest Car on the grid, but when he isn’t racing he loves to kick back and relax with his tablet. 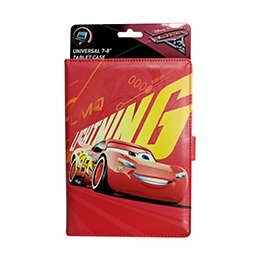 Luckily a Car like Lightning can keep his tablet safe with this Cars 3 case. This case is Universal so it fits most 7-8” tablets and has multiple viewing positions for movie viewing.